The late Sheikh Zayed bin Sultan Al Nahyan, Founding Father of the United Arab Emirates (UAE), is considered one of the world’s greatest conservationists. His foresight and vision long preceded the present-day global conservationists' movement. He was born into an inhospitable, arid environment, so when he was appointed to serve as the Ruler’s Representative to the Eastern Region of Abu Dhabi in 1946, he immediately started to secure a more reliable and sustainable supply of water for its people. He set out to preserve the heritage of falconry and hunting and, at the same time, ensure the long-term survival of falcons and their prey. He also introduced a humane face to the sport, which he considered art and an invaluable heritage. Sheikh Zayed adopted conservationists' values as a matter of conviction and necessity. He loved nature and wildlife and, above all, he understood the importance of preserving every drop of water and putting it to productive use. As the Arabian Oryx neared extinction, Sheikh Zayed arranged for the capture of two breeding pairs of the Arabian Oryx to form the nucleus of a captive-breeding programme. Today, almost 50 years later, thanks to the Sheikh Mohammed bin Zayed Arabian Oryx Release Programme implemented by the Environment Agency – Abu Dhabi (EAD), the numbers of Arabian Oryx in the UAE have increased to over 10,000, of which 5,000 are in Abu Dhabi Emirate. Moreover, efforts have led to the International Union for the Conservation of Nature (IUCN) downlisting the status of the Arabian Oryx from “Endangered” to “Vulnerable” in 2011. The Arabian Oryx, as part of the programme, is also gradually being reintroduced into protected areas, across the UAE, the Sultanate of Oman and the Kingdom of Jordan. In 1966, when he became Ruler of the Emirate of Abu Dhabi, Sheikh Zayed created the Association for Animal Welfare. This group of dedicated rangers patrolled the deserts to ensure the ban on hunting wildlife was respected. Today, these rangers, under the mandate of the Environment Agency – Abu Dhabi, still carry on Sheikh Zayed’s direction by actively patrolling the Emirate’s protected areas. Sheikh Zayed remained persistent in his efforts in falconry and conservation. Of significance in this respect was his initiative to organise the first World Conference on Falconry and Conservation in Abu Dhabi in 1976, which for the first time, brought together falconers from North America, Europe, the Far East and Arabia. The conference was the launching pad for a strategy that has completely transformed the world of falconry to this day. It brought falconers into the mainstream of emerging conservation efforts. It was at this time that captive-bred falcons from Europe first began to appear in Arabia, launching a trend that today sees most UAE falconers choosing captive-bred birds for preference, thus reducing the off-take from wild stocks. Today, falconry is on the UNESCO Representative List of the Intangible Cultural Heritage of Humanity. Following the establishment of the country, Sheikh Zayed was able to ensure that his concern for conservation took on a nation-wide approach. He issued the necessary legislation and established conservation organisations, including the Emirates Falconers' Club - still operating today - as well as houbara breeding centres in Abu Dhabi and the Kingdom of Morocco. In the early 1980s, he also established a small falcon hospital in Al Khazna, outside of Abu Dhabi. 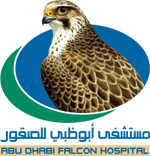 This was later followed in 1999 by the Abu Dhabi Falcon Hospital, supported by the Environment Agency – Abu Dhabi, which is today the largest falcon hospital in the world and a leader in avian medicine. In the realm of species protection, Sheikh Zayed was the first to encourage action on the threats posed to birds and animals species. He set in motion a wide variety of programmes designed to protect the species. One of these programmes was the Houbara Breeding Programme, which began in Al Ain Zoo in 1977 and saw the first hatch in 1982. In 1989, he directed that the National Avian Research Center establish a breeding programme for the Asian Houbara, which produced over 200 birds in 2004. The long-term objective, determined by Sheikh Zayed himself, was to produce 10,000 of Asian Houbara a year, most to be released to supplement wild stocks. In Morocco, in 1995, he set up the Emirates Centre for Wildlife Propagation to breed North African Houbara for release into the wild. In Pakistan, he supported the establishment of the Houbara Foundation International, which has helped reduce illegal trapping. Today, Abu Dhabi’s Houbara programme is managed by the International Fund for Houbara Conservation (IFHC), a global organisation continuing the work of Sheikh Zayed through a holistic conservation programme for the Houbara bustard. IFHC now produces over 50,000 Houbara a year and works with countries across the species’ range to release birds and promote sustainable practices. By 1995, Sheikh Zayed managed to transform the use of falcons from wild to captive-bred, and by 2002, the use of captive-bred falcons in falconry was widespread, making the UAE the first country in the region to do so. 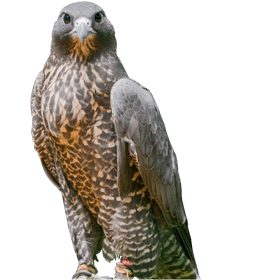 NARC has also developed a falcon captive breeding programme to reduce the pressure on the wild stock. Like most Arab falconers, the late Sheikh Zayed traditionally released his falcons back into the wild at the end of hunting season. This practise inspired the Sheikh Zayed Falcon Release Programme, which began in 1995, and is now overseen by the Abu Dhabi Falcon Hospital, with support from the Environment Agency – Abu Dhabi. It is considered one of the most impactful release programmes in the world and, since it began, more than 1,800 falcons have been released back into their natural habitat, in countries such as Pakistan, Iran, Kyrgyzstan and Kazakhstan. Sheikh Zayed actively encouraged his fellow falconers to make greater use of captive-bred birds and introduced a strict licensing system for the trade in wild-caught birds in the UAE. Coupled with the introduction of a 'falcon passport,' approved by the Convention on International Trade in Endangered Species of Flora and Fauna (CITES) this has already had a dramatic effect on reducing trapping pressure in neighbouring countries. There is Global recognition of his efforts through international accolades such as the Environment and Development Award (1993), FAO Award for Agricultural Development (1995), and WWF Golden Panda Award (1997). As well as a top award from the French government for combating desertification (1998), the UNESCO Environment Chair, the Arab League Scarf for Development and several others. In 1998, after he observed the successful breeding of the flamingo for the first time at Al Wathba Wetland Reserve, he established the site as a protected area, to be managed under the Environment Agency – Abu Dhabi. Thanks to his belief in conservation, today this is the only site in the UAE where flamingos continue to breed regularly, and the Reserve has become an internationally recognised wetland around the world as well as a popular sustainable tourism destination locally. Moreover, today there are 19 terrestrial and marine protected areas in the Emirate under the Sheikh Zayed Protected Areas Network, and they benefit from the highest level of legal protection. EAD continues to be responsible for managing this network, which today represents 15.43% of the Emirate’s terrestrial environment and 13.45% of its marine environment. In 2005, one year after his passing, the United Nations Environment Programme honoured Sheikh Zayed posthumously with the ‘Champion of the Earth' award for his outstanding wildlife conservation efforts both inside the UAE and around the world, as well as his efforts in agriculture, forestation and preserving biodiversity. Zayed lived and died with the values of conservation at his heart. His is a story almost unparalleled anywhere in the world. Following in the footsteps of the late Sheikh Zayed, H.H. Sheikh Khalifa bin Zayed Al Nahyan, President of the UAE, continues his support of environmental protection. Moreover, under the guidance of H.H. Sheikh Mohammed bin Zayed Al Nahyan, Crown Prince of Abu Dhabi, Deputy Supreme Commander of the UAE Armed Forces and EAD’s Honorary Chair, and the close supervision of H.H. Sheikh Hamdan bin Zayed Al Nahyan, Ruler's Representative in the Al Dhafra Region of Abu Dhabi, and the Chairman of the Environment Agency – Abu Dhabi, the Agency has upheld and enforced environmental regulations. Since its inception in 1996, it has gained a deep knowledge of the Emirate’s fisheries, helped bring the Arabian Oryx back from the brink of extinction, helped preserve the world’s densest dugong population and measurably increased public awareness of environmental issues, among other achievements. The breadth and depth of the environmental work the Agency has carried out over the years positions it as a powerful force for environmental protection.